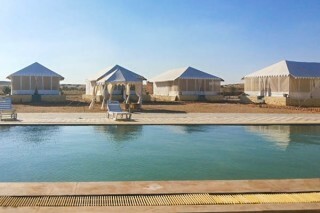 Surrounded by endless sprawling dunes, it is an intimate place to stay, to share secrets, to relax. A cosy sit-out, a luxurious bed under a linen canopy suffused with golden light, tiled rooms, tasteful Rajasthani furnishings and an extravagant bathroom await you. Warm and efficient service is available whenever required in this romantic and adventurous getaway. 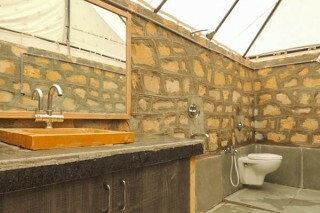 The luxurious bathrooms are fully supplied with towels, shampoo, shower gel and soap. 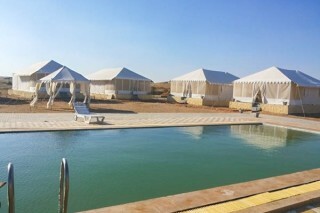 The fenced-in and guarded camp has fixed quality tents. Net panelled windows, which allow a free flow of fresh air and enclosed with palm fronds, provide protection against the elements. 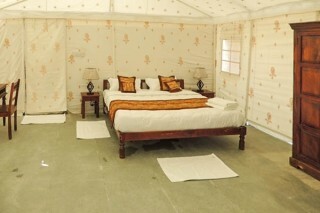 The spacious tents are fitted out with electric lighting, and two single beds with mattresses and bedding. 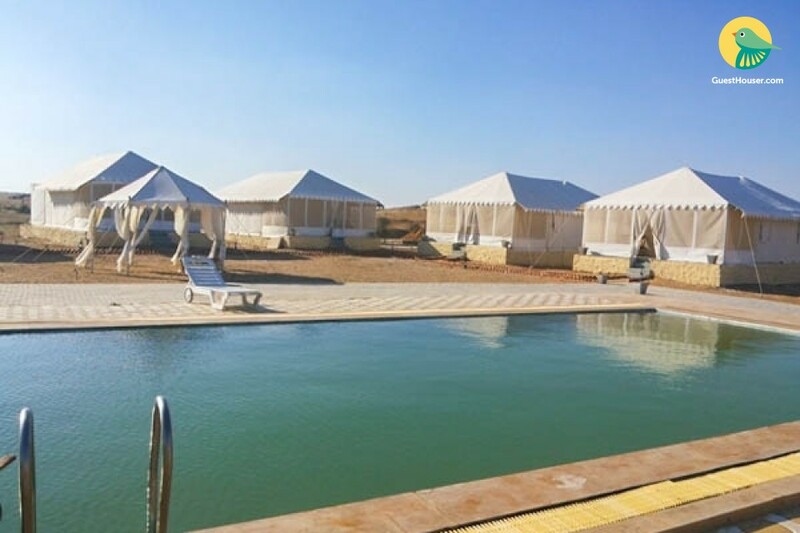 Experience the thrill of dune driving, the adventure of sand skiing on the dunes of Thar desert, or simply explore the desert through Riding a camel This vast area promises days filled with activities and night-drives which reveal desert life concealed during the day. 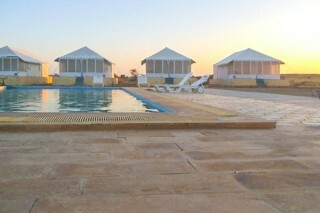 During the evening enjoy the campfire and be entertained by a troupe of Rajasthani Folk Musicians, dancers and singers. 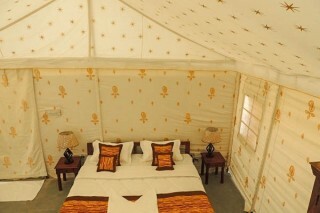 Or, spend a quiet peaceful evening in camp. 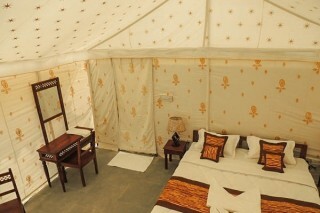 I loved the appearance of the tent and staying in it was super cushy.